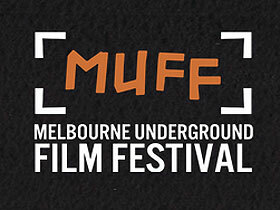 This year, the Melbourne Underground Film Festival will be celebrating it’s 15th year, which is a remarkable and monumental achievement. Guided since the very beginning by the dynamic — and often times controversial — festival director, Richard Wolstencroft, MUFF has been and continues to be a bold and important supporter of challenging, overlooked and extreme media. To celebrate this important anniversary, MUFF will be bringing one of the premiere voices in the history of underground cinema, Nick Zedd, who will be on hand to run a masterclass for aspiring and even seasoned filmmakers. MUFF is a great force in supporting exceptional filmmaking voices and helping them put on another great edition would be a very cool thing to do indeed. You can visit their Indiegogo campaign here and contribute.